I wrote this article a few years ago, never posted it on my blog, but it’s the history of, so it’s still current….if that makes sense 🙂I have always felt if you want to accomplish true greatness in any field or endeavor you cannot do so without understanding and appreciating the history of it. With that said, knowledge of how photography evolved over its history can add yet another brick toward building a house of photographic experience. Many are not aware the first temporary images were created over a thousand years ago by Ibn al-Haytham, a Muslim Persian scientist born in southern Iraq in 965. Al-Haytham invented the camera obscura, also known as the pinhole camera, where inverted images were cast onto a dark wall through a small opening. Even though the recordings could not be archived until certain chemical processes and technologies were later invented, it was the first known method of photography. Described in the 19th century as ‘mirrors with a memory’, the original definition of “photography” comes from the French word photographie, the combined Greek words of phos (“light”) and graphis (“stylus” or “paintbrush”)- also defined as “drawing with light”. The camera’s ‘memory’ may have progressed from film to digital image sensors, with technology and the vernacular of the art changing rapidly, but the basic concept of photography remains much the same today. 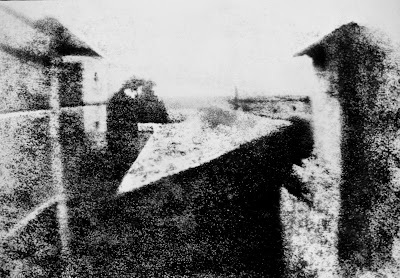 By the mid 1820s a French man by the name of Nicéphore Niépce captured an eight-hour exposure, View from the Window at Le Gras, with a rudimentary yet remarkably innovative set up resembling a pinhole camera, using chemicals to process the image permanently. The world was visually changed from that moment on (although there has been some recent dispute with a claim Thomas Wedgwood captured the first photo in the 1790s- another states Niépce produced an image of his son one year before his Le Gras image). In 1832 Hércules Florence a French-Brazilian inventor and painter created a process for permanently fixing camera obscura images onto silver nitrate and named it Photographie or Photographia. William Fox Talbot, an early photographic pioneer, also discovered other means to fix a silver process image but kept his process secret. In 1839 Louis Daguerre, who collaborating with Niépce before he died, continued his work and subsequently created the daguerreotype, a new process where a negative image was exposed directly onto a mirror-polished surface, reversing it to a positive image when held in certain light. This process not only had a luminous quality to it, it also resulted in shorter exposure times. After reading about Daguerre’s invention, Talbot refined his process cutting exposure times as well, giving it the ability to take photographs of people (long exposure times were often the cause of blank facial expressions in 19th century portraits). By 1840 he invented negatives through process called calotype. John Herschel also made many contributions to the new methods thus inventing the cyanotype process, otherwise known as the “blueprint”. He was the first to use the terms “photography”, “negative” and “positive”. Herschel informed Talbot and Daguerre of his discovery in 1839, that it could be used to “fix” pictures and make them permanent, then produced the first glass negative later that same year. 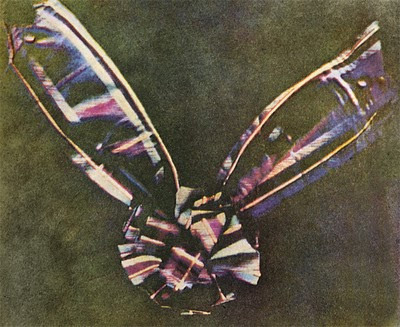 The first permanent color photo was captured by James Maxwell in 1861, and the next major step forward came ten years later when Dr. Richard Maddox discovered a way of using Gelatin (a material recently discovered) instead of glass as a basis for the photographic plate. This led to the creation of the dry plate process marking a turning point in the industry. Dry plates had a variety of advantages including quicker development, the possibility of being mass-produced, were less cumbersome with less knowledge required. Although there was a mix of inventions and inspiration throughout the 19th century, the dry plate process, in combination with John Carbutt’s idea of adding thin celluloid as a backing for sensitive material, lead to several revolutionary changes. Soon after George Eastman introduced flexible film in 1884, as well as the Kodak box camera in 1888 and now photography could reach the masses (Kodak, by the way, was a name created by Eastman and his mother, and not the name of a supposed partner). As manufacturers like Kodak began to build smaller cameras (such as the Kodak Brownie in 1901) along with higher quality film at affordable prices, the mobile aspect of photography changed the way families documented their lives, yet part of the art was also lost in the transfer (the digital age has repeated this). 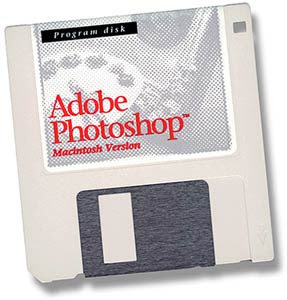 In fact one of Kodak’s slogan’s “You press the button, we do the rest” doesn’t seem so far off the “fix it in Photoshop” phrase we all hear today. People assumed their techniques combined with the quality of the new product would match the processes and talent of the photographers they were use to, but this wasn’t the case. Even though the process of photography evolved through various inventors over its history, the progression of the medium was just as affected, influenced, and changed directly by the artists. So many paved the way for how photography is used and perceived today, and being unaware of these people means missing a huge part of the art. Some of the original pioneers of photography were first commissioned to the battlefields, whether by publishers or their government, as a way of documenting war. Roger Fenton (1819-1869) is known as the first war photographer recording the Crimea in the 1850s. Timothy O’Sullivan (1840-1882), a protégée of Matthew Brady, became famous for his stark depictions of the Civil War as well as his grand landscapes of the American West, using the wet plate process of the mid 1800s. In the 1880s, Eadweard Muybridge (1830-1904) was the first to use his camera to study motion too fast for the naked eye to see- motion pictures became a by product of this exercise. Gaspard-Félix Tournachon, aka Nadar (1820-1910), was mostly known for his portraits including people such as Victor Hugo, Jules Vern, and Sarah Bernhardt, although he was also the first to take aerial photographs using a hot air balloon. 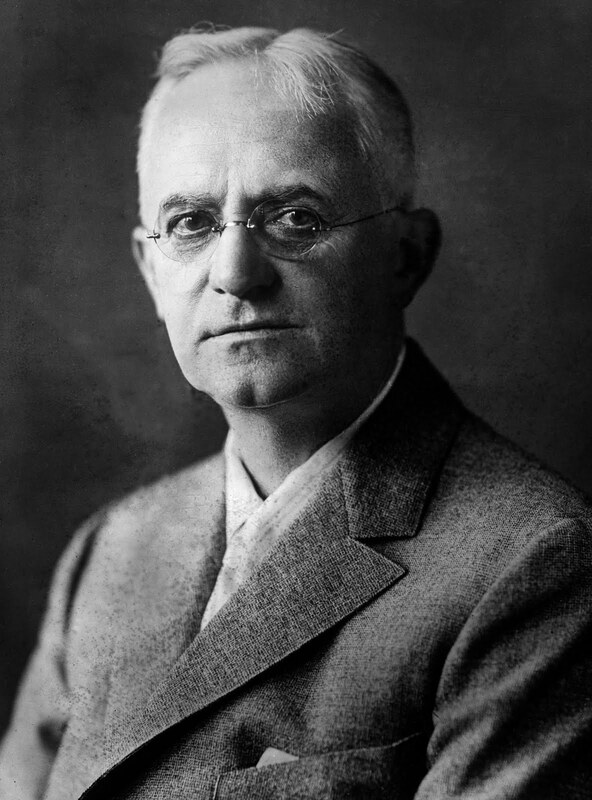 Just after the turn of the 20th century, although color photographic processes began being mass-produced, black and white image-makers such as Alfred Stieglitz (1864-1946) and Edward Steichen (1879-1973) came to be widely known as fine-art photographers. Largely affected by European modern art, Steichen slowly moved toward fashion and advertising photography, while Stieglitz (who married Georgia O’Keeffe) stuck to a more photojournalistic and fine art approach. 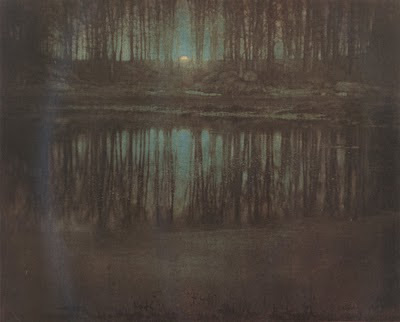 In 2008, Steichen’s The Pond-Moonlight captured in 1904 sold for $2.9 million, the highest price ever paid for a photo at auction. Edward Weston (1886-1958) came on the scene soon after, known for is fine art images of the human figure, shells, vegetables, and landscapes often documented with an 8×10 view camera. As Weston was realist in his works, Man Ray (1890-1976) used imagination and surrealism for his photographic canvas. In 1935, Kodachrome was introduced and became the standard in color photography- probably the most successful and well-known film still on the market today. 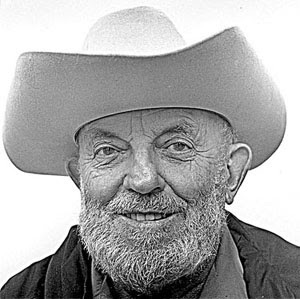 Regardless, the 30s and 40s still ushered in the black-and-white masters in the likes of Ansel Adams (1902-1984) and Brett Weston (1911-1993), who not only perfected their skills through methods such as the Zone System, but also advanced in the perception of photography as an art. On the opposite end of the spectrum, photographers like Henri Cartier-Bresson (1908-2004) and Walker Evans (1903-1975) cared more about capturing moments in their cameras instead of what they were able to produce in the darkroom printing process. Small town life and city scenes fascinated both although Cartier-Bresson’s style was through a sense of shapes, lines, and spatial relationships, while Evans took a more straightforward literal approach. In the 1940s, 50s, and 60s story tellers like Robert Capa, W. Eugene Smith, and Diane Arbus emerged, all with their own documentary style whether through graphic images of war or an intimate look into the American family. Photography was becoming more instant with the introduction of Edwin Land’s Polaroid camera in 1948. In fact the first digital image ever produced by a computer occurred nine years after in 1957; a 5×5 centimeter grainy image of a baby scanned in by computer pioneer Russell Kirsch at the U.S. National Bureau of Standards. By 1963, Kodak unveiled their Instamatic camera, launching an age of more affordable ways to capture life. The 1970s and 80s took a mix of past and present through the appreciation of works from artists such as Josef Koudelka’s images of Exile, Robert Mapplethorpe’s controversial and sexually explicit imagery, and Irving Penn’s high-end portrait and fashion work. In 1981 the Mavica made by Sony was the first consumer camera to use CCD (charge-coupled device) eliminating the need for film, and nine years later, Kodak produced the DCS 100, a 1.3 Megapixel digital camera back that would attach to a Nikon F3 body. Through the 2005 bankruptcy of Agfa Photo and 2006 discontinuation of Polaroid instant film, the digital age may have closed a few doors, yet it opened many more creative ones with the advent of Photoshop, RAW image files, as well as new functions such as White Balance and High Dynamic Range imagery. I used my first digital SLR in 1995 when Nikon introduced their E2s, loaning me the camera to test out on an adventure race. To capture filmless images and transmit the files over phone lines only to see them appear on the cover of the Salt Lake City Tribune was truly a wild concept – and this was only 13 years ago. Nowadays, technology has gone upward of 111 Megapixel systems, well beyond film, yet commercial digital systems are still in their infancy albeit advancing at a rapid pace. After 180 years of photography, many of our world views and personal memories are often connected to images from the past, whether being Yosuf Karsh’s portrait of Winston Churchill, Kim Phuc’s image of the napalm bombing in Vietnam, or the eyes of the Afghan girl documented by Steve McCurry. Besides the wonderful image-makers we have at BetterPhoto.com (not only online photo instructors – like myself- but many who are well-known in the photo community), there are too many current working photographers to mention in a short article – Sebastiao Salgado, Richard Avedon, James Nachtwey, Annie Lebowitz, and Art Wolfe. But research or Google them and you may find great inspiration in a photographer’s work for which you never knew existed. The medium may have changed from a dark wall to film to a digital file, but the need for a visual eye and an ability to capture fleeting moments with beauty and style will always remain.